UPDATE #1: There are fewer than 10 early bird spots left and the price will increase from $45 to $52 when the early bird spots are gone or by Sun. Feb. 25th (whichever comes first). To be fair to those who want to join in and are ready to make payment, I’ll be removing those that haven’t paid by Sun. Feb. 18th. Make payment to lock in the early bird price and your spot (see the “Payment” section of the event posting). If you’ve already made payment, the PayPal email you received is confirmation that we’ve received your payment (no need to message me asking for ticket confirmation). This UPDATE has been emailed to the yes RSVPs. I hope to see you there! Ok, let’s eat… and learn how to make sushi! We have a fun class planned with this one! 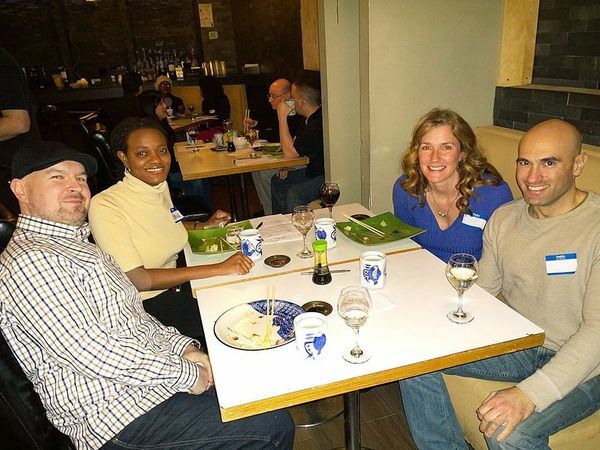 Come join us at Umaya Izakaya for a 2 – 3 hour demonstration on how to make sushi. 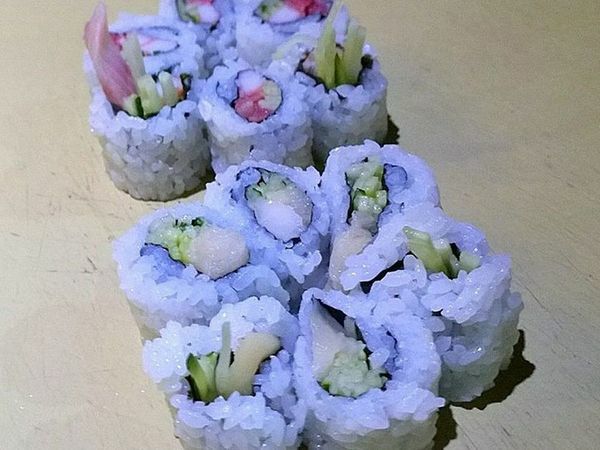 Learn the intricacies in the preparation of sushi. We will check in at 1pm, and then we’ll learn to make sushi at 1:30pm. 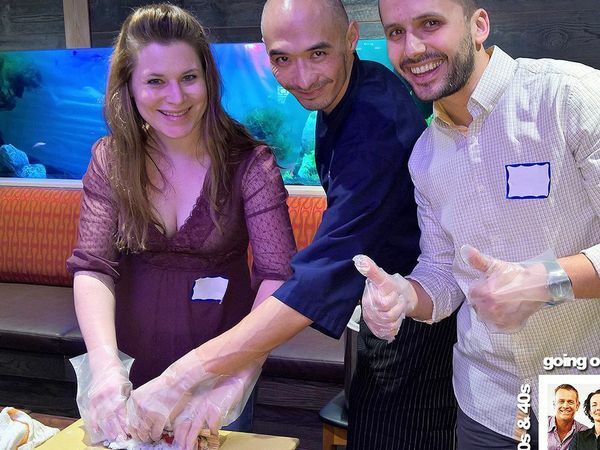 We have recruited (and are privileged to have) Chef Yim with 20+ years of sushi making experience to take us through the culinary exploration of sushi. Besides Umaya Izakaya, he has also worked at Sakura, Makoto, and Kushi restaurants as well as abroad in Hong Kong. We will have 4 “rounds” of cooking, where each round demonstrates the preparation and creation of each type of roll, a different dish. After each round, the chef will hand out the rolls just demonstrated to lucky member(s) of the audience to eat! We’ll get an opportunity to get hands on and make (and then eat) some sushi rolls (with the chef’s help) after the demonstration is over! Red and white wine IS included! We’ve got an early bird special for this event of $45! The first 25 paid sign-ups, or those who pay before Sunday, February 25th (whichever comes first) get the early bird price! After that, the ticket price will go to $52. We have a LIMITED number of spots so make sure to RSVP early AND make payment to secure your spot and get the early bird price! To make payment, please follow the steps in the Payment section of the event posting. The closest Metro is Metro Center (Red, Orange, Blue, Silver lines) and Gallery Place – Chinatown (Green, Red, Yellow lines) both about a 2 minute walk. I suggest Metro / cabbing / Uber’ing if you can. I also recommend using wmata.com for travel planning. Don’t forget to account for Metro, traffic, and parking delays. If you are driving, you will need to find street parking or a garage. I recommend using parkopedia.com for garage parking planning. Please be on time. If you are late (arrive after the start time of 1pm) you risk the possibility of not being able to join us for the event. I will have a master list of all those that have paid. It’s not required, but I recommend printing out your payment confirmation email as a backup (if you are not on the list, you will be required to show it). When you check-in, your RSVP will be listed under the name of the PayPal or credit card account used to make payment. Typically, this is your LEGAL name as shown on your driver’s license. Sometimes, it may be under a company name if you set up your PayPal or credit card account that way. If you are not sure what it is, please log into your PayPal account (it will say “Welcome, [your account name]” at the top) or your credit card account to find out. If you are RSVP’d under someone else’s payment, please use that name for check-in.